Coghlan’s 12-In-1 Scissors | BUDK.com - Knives & Swords At The Lowest Prices! 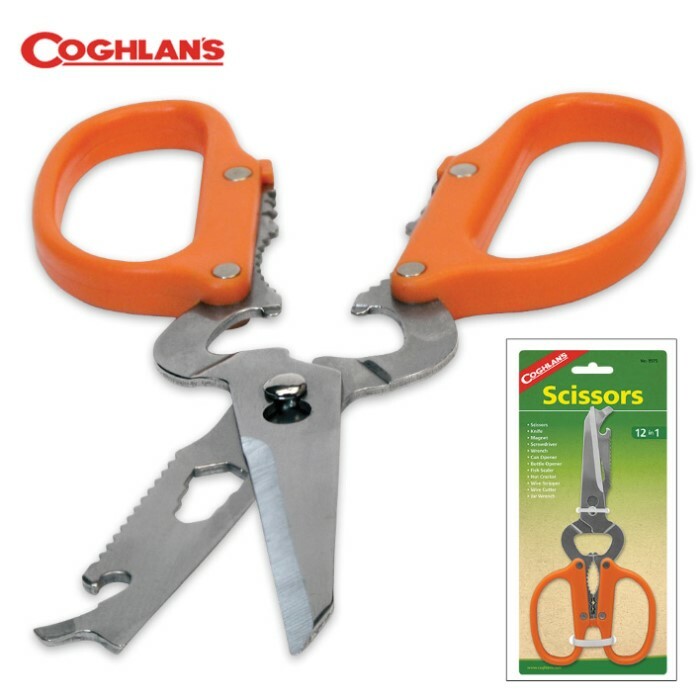 Coghlan’s 12-in-1 Scissors is a multi-purpose stainless steel tool with 12 useful functions so that it’s the only tool you have to pack when you go camping. It can be used as a knife, screwdriver, magnet, can opener, wrench, fish scaler, nut cracker, jar wrench, wire cutter, wire stripper and bottle opener. 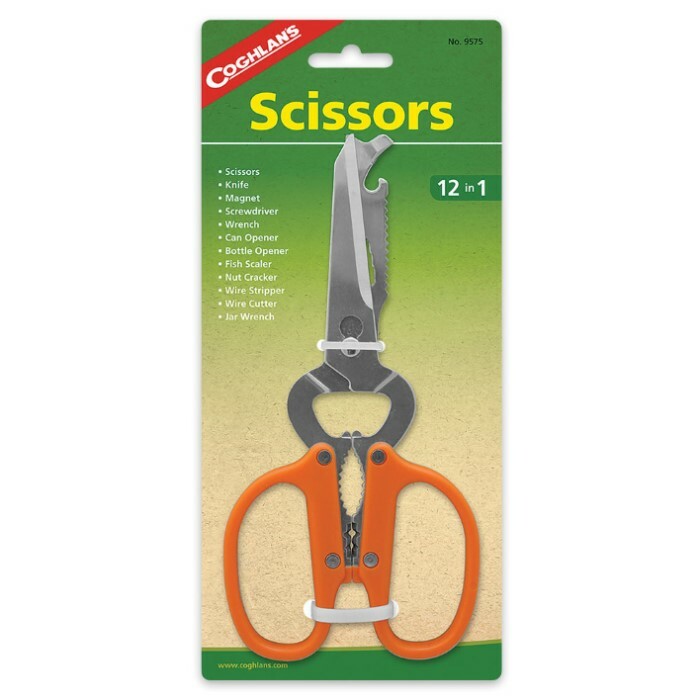 All of these functions, as well as, the stainless steel scissors, are designed to help you while camping or traveling.